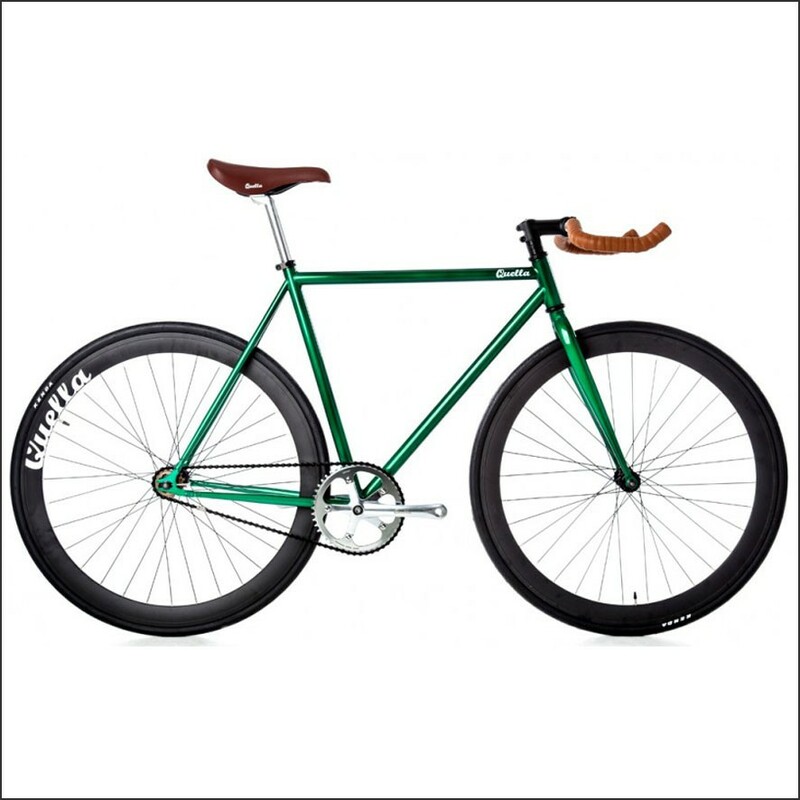 The hand-build fixed gear bikes Racing Green are the flagship of Quella One 2015 from the beginning of their launch. 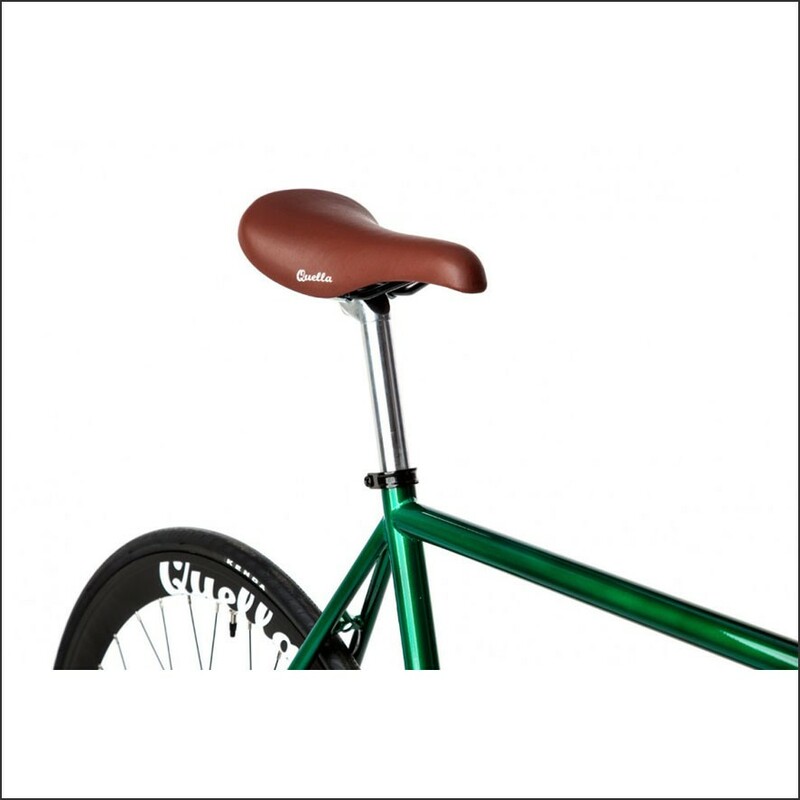 This bike is the signature of urban fixed gear bicycles out there and is comfortable, high quality built and fashionable all at the same time. The Graphite is designed to be practical in the city and is also very beautiful! Check out the images and judge for yourself. 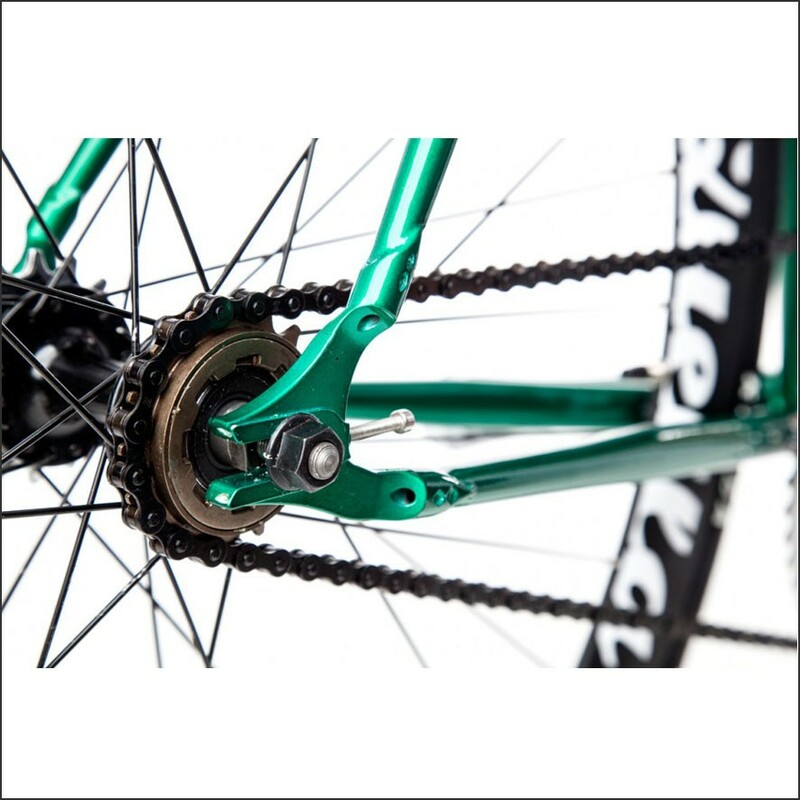 Besides the Quella One 2014 model is improved and updated with a light weight steel frame (Cro-mo 4130), improved deep-V rims of 50mm, updated aero track bar, light weight crank, heavy duty HP1chain, and much much more improvements which are not always seen by the naked eye. Last but not least: all Quella fixed gear bikes are hand build and hand finished by Quella themselves! 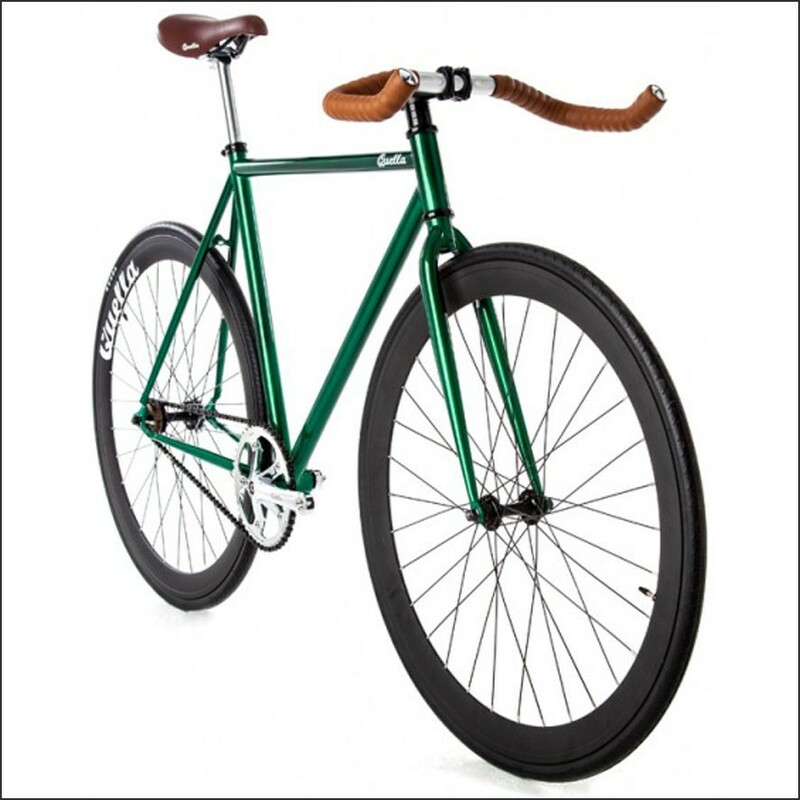 Ride in style, choose the Quella One 2015 Racing Green Fixed Gear Bike and order easily online now! 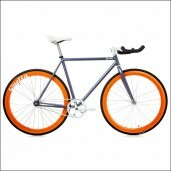 BACK ORDER: THE RACING FIXED GEAR IS TEMPORARILY ON BACK-ORDER, ETA NEW STOCK: 2ND WEEK OF SEPTEMBER. ORDER NOW AND RESERVE YOUR BIKE RIGHT NOW! The bikes comes 90% assembled. 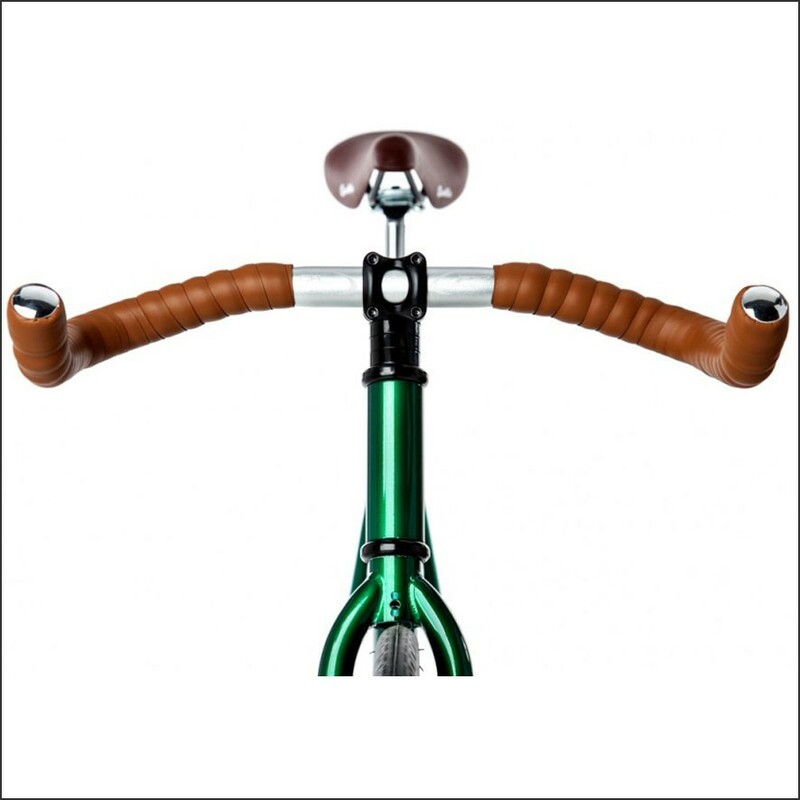 After receiving the bike you still need to assemble: the handlebars, saddle, pedals, front wheel, and a few other minor parts, as well as adjusting, tightening and tuning the bike. It's possible to assemble the bike by yourself with basic knowledge of bikes but we always recommend to assemble the bike with a professional. 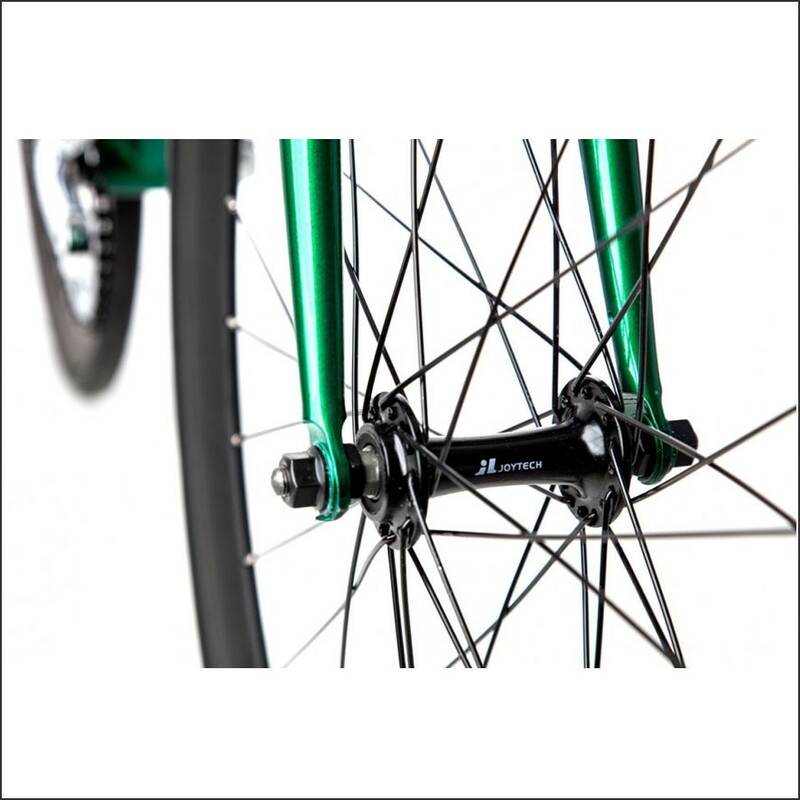 The bike will be safer and ride better when assembled and tuned properly. 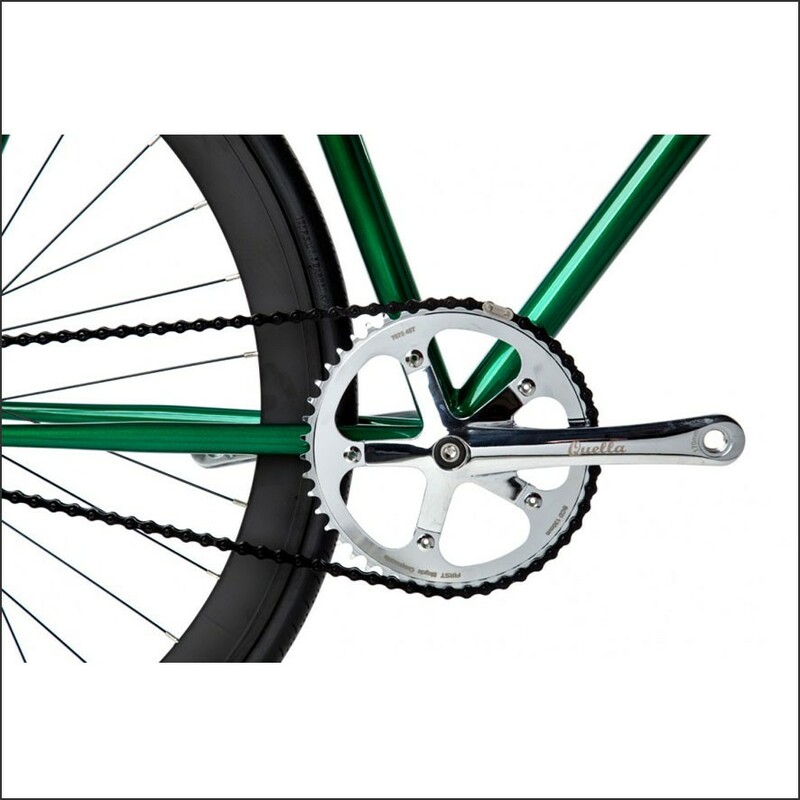 Tools: All the tools you need to assemble your bike will be supplied with your bike.